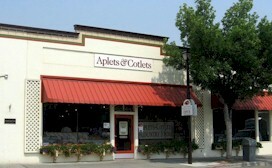 The Aplets & Cotlets Candy Kitchen is located at 117 Mission Street, one block south of Cottage Avenue. Here you can take the "sweetest tour on the Cascade Loop" and see how our candies are made from hand-sorted nuts to hand-packed boxes. And don't forget to sample FREE candies fresh from our factory! You'll also find a wide assortment of gifts and delicacies from the Pacific Northwest in addition to the many varieties of America's Favorite Fruit-And-Nut Candy! 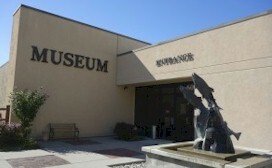 Tour hours are: April through December from 8:30 a.m. to 5:30 p.m., Monday through Friday, and 10 a.m. to 4 p.m. Saturday and Sunday; January through March 8:30 a.m. to 4:30 p.m., Monday through Friday, and closed Saturdays and Sundays. Come and enjoy a Cashmere tradition at the Aplets & Cotlets Candy Kitchen! A short drive will bring you to the world famous "Bavartian Village". Visiting the Bavarian Village takes you into a world of German music, street dances, fine German and international cuisine from our many restaurants, and quality accommodations to please each and every traveler. Our festivals and other events, throughout the year, offer excitement and fun for the entire family. Wenatchee is located confluence of two rivers, the Wenatchee and the mighty Columbia. The area is surronded by foothill and one can view the Cascade Mountains with there snow capped peaks. The valley is alive with fruit orchards and vineyards. Here we produce the world's fruits, apples, cherries, pears to name a few. Our vineyards produce the wonderful grapes that have grown our area to one of the largest wine regions in all of Washington. Come and taste all we have to offer. Wenatchee 'The Apple Capial of the World." Cashmere is a small town but enough to keep you busy. The surrounding area offers a wide variety of activities for everyone's taste. For further information simply chose one of the areas abovue and you will find a "huge" variey of activities to fulfill your day. Enjoy our "Unique Little Town". Looking for something from the past! You need to check this longstanding Cashmere establishment! "When was the last time you ate an ice cream sundae? Or drank an Italian Soda? Stop in today and enjoy one of our decadent treats! Doane's Valley Pharmacy features classics like banana splits, root beer floats and malts, as well as some of our own locally-inspired concoctions.